Amanda K. Moran, J.D. 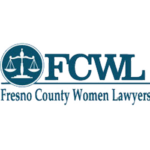 - Attorney at Law - Moran Law Firm - Fresno Ca. Ms. Amanda K. Moran, J.D. Amanda attended San Joaquin College of Law, where she served as both the Dean and the Academic Chair of the Delta Theta Phi Fraternity. Amanda served as a mentor for incoming law students and was the 2013-2014 SJCL Student of the Year. Amanda’s active involvement in her law school demonstrates her ongoing commitment to giving back to her community. As an attorney, Amanda continues to devote herself to the criminal justice system by providing her clients with the highest quality legal representation possible. 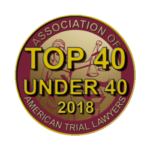 During law school, Amanda was also recognized as an exceptional public speaker, by being awarded Best Oral Advocate Finalist in the 2015 George Hopper Moot Court Competition. Amanda’s ability to effectively argue in court has been demonstrated at all levels, from cases involving the death penalty to simple misdemeanor gun possession. Amanda won numerous scholarships and academic awards recognizing her dedication to the law and her desire to succeed, such as Witkin Awards for Academic Excellence in Advanced Research and Writing, Moot Court, Business Organizations, and Mediation; the Leon S. Peters Leadership Scholarship; the Elizabeth O’Neill Memorial Scholarship; and the Daryl B. Freedman Bar Study Support Scholarship. Amanda graduated in the top 20% of the San Joaquin College of Law class of 2016. Amanda began working with Moran Law Firm as a Certified Law Clerk, and later joined the firm as an Associate Attorney. Amanda Moran became the Managing Partner of the Moran LLP in October of 2018. 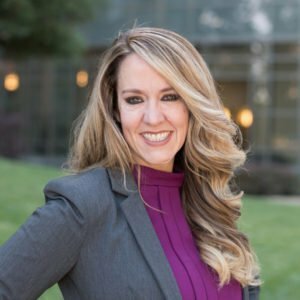 Amanda currently practices criminal defense in the Central Valley and has worked on cases that cover the vast spectrum of Criminal Law in both Federal and State courts. 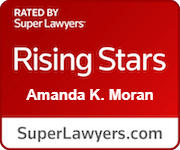 Amanda Moran has also written complex legal motions, Writs, and successful Appeals in both the Superior Court, and the Fifth District Court of Appeal. 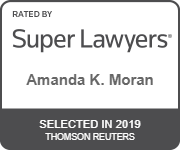 Amanda works with the Moran LLP team, and together they produce high quality written work that has continuously obtained favorable results for her clients. Amanda’s courtroom and trial experience covers a wide range of complex criminal matters, and she has had great success in obtaining favorable results for her clients, through effective and trustworthy representation. Amanda takes the time to get to know her clients and their families, and because she has invested the necessary time to prepare the case for trial- Amanda can tell each client’s story to the jury with purpose and trustworthiness. The jury can see that Amanda believes in her client, so they should too! Amanda is a passionate advocate for her clients, and provides representation with integrity whether her clients are wrongly accused, overcharged by the government, or unjustly convicted. Amanda works together with an entire team of committed Attorneys, Law Clerks, Investigators, and Experts at Moran LLP to ensure that each client has the very best defense possible at all stages of the criminal proceedings!